Starting today a very new and interesting series of different art forms of India. I have always been fascinated by various art forms. I chose to start with Madhya Pradesh's art form because this state is known as 'Heart of India' and the fact that I hail from this very state and I truly love everything about MP. 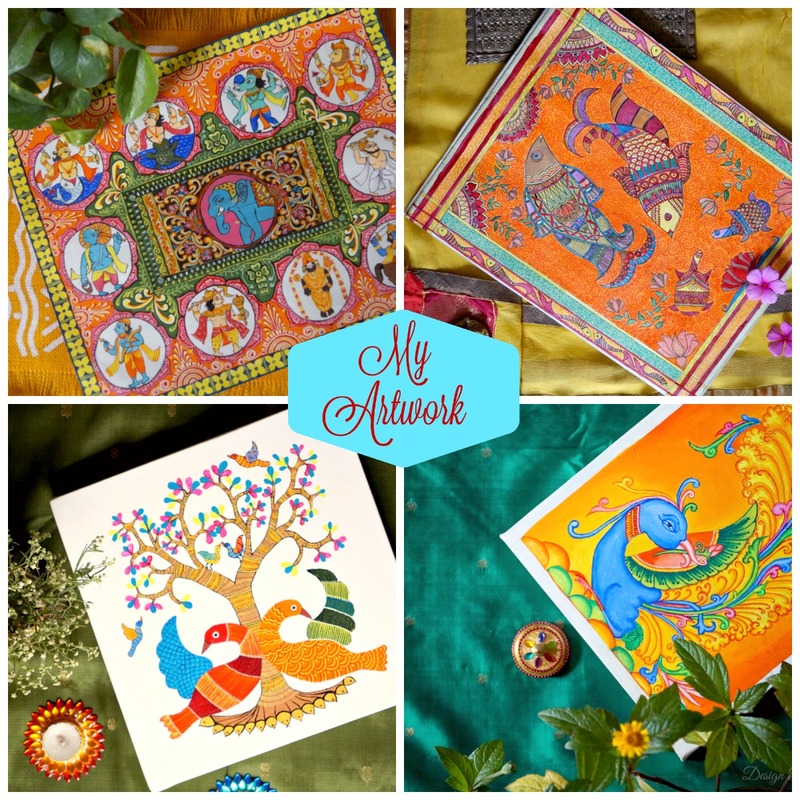 Today I am showcasing Gond Art of MP. 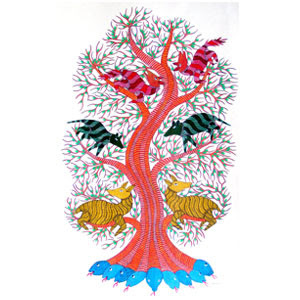 Gond Tribal Painting is done by Gondi people who live in parts of Madhya Pradesh, Maharashtra, Chattisgarh, Andhra Pradesh & Orissa. However, the majority of the artists who paint in this style come from a village called Patangarh in Mandla District of Madhya Pradesh. Patangarh is a place where a seventeen years old boy Jangarh Singh Shyam used to decorate his hut's wall using dots, lines and bold colours. 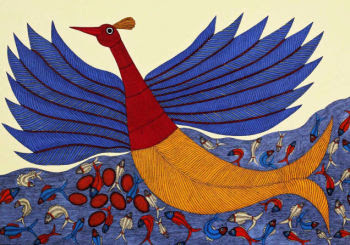 Late painter J.Swaminathan introduced this young artist to the world. 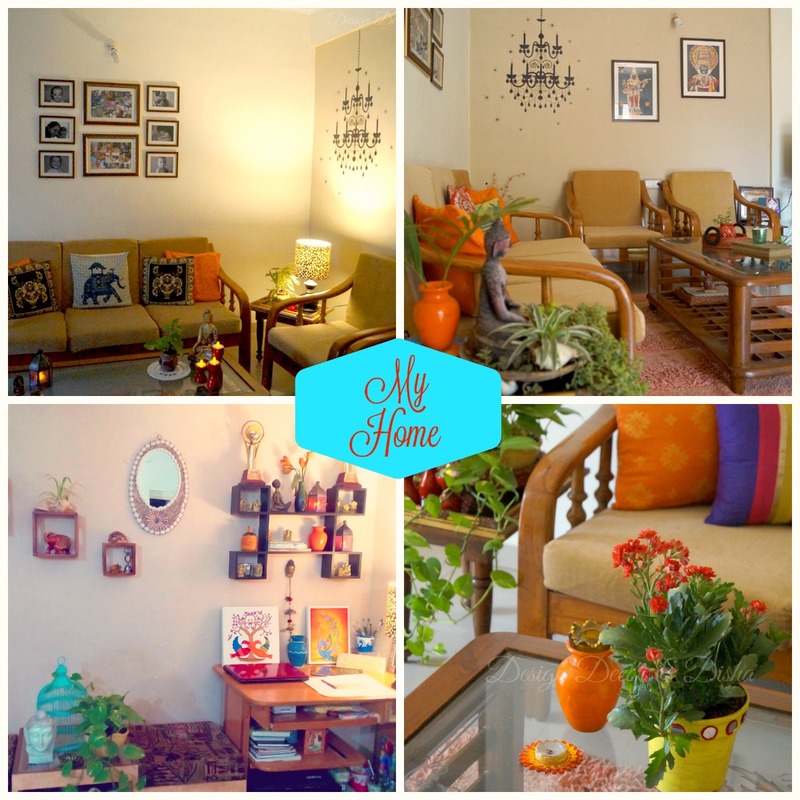 Gond paintings are usually done on mud walls. Artist uses colors derived from charcoal, soil, plant sap, leaves and even cow dung.......interesting isn't it and this painting can last up to 15-20 years. The theme of Gond painting depicts day-to-day life. 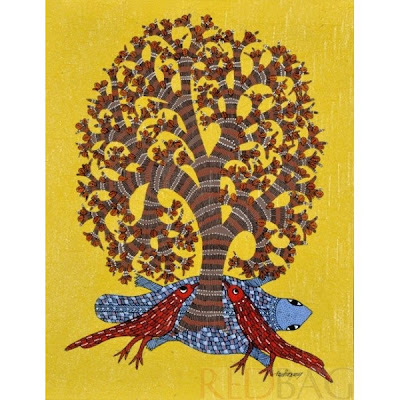 Gond tribal paintings are not just mere decorations, but also the expressions of their religious sentiments, devotions and their perception of life. I found this form of art very very interesting and going to give it a try soon. beautiful!! 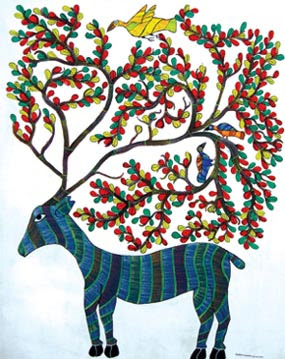 i like gond art as well.. beauty in simplicity!! 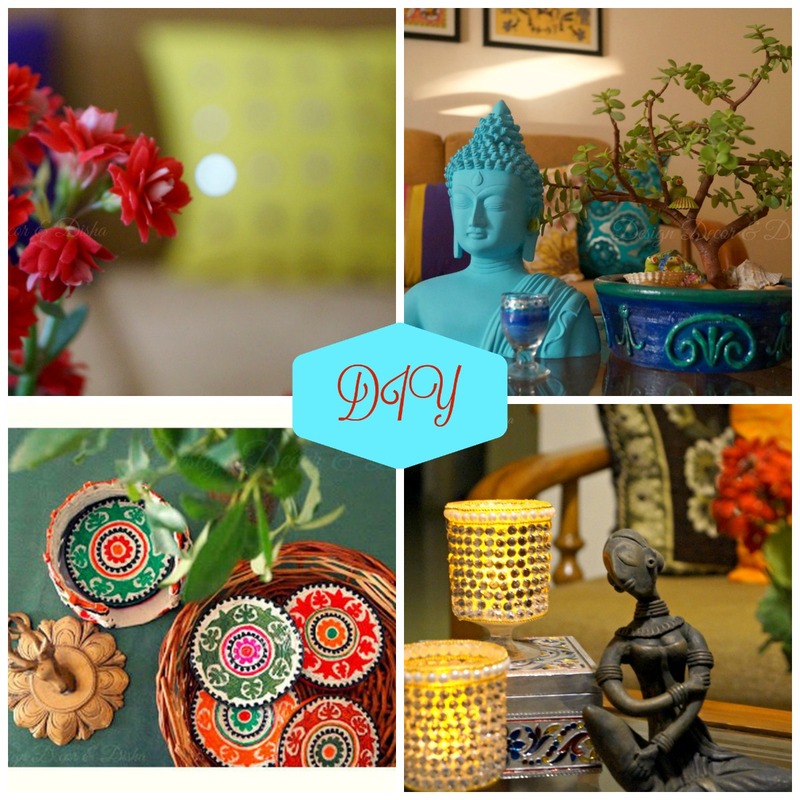 Beautiful images & blog too!